Considered one of the greatest arrangers of all-time, Van Alexander worked with a variety of orchestras during the big band era. His professional career started when he sold two arrangements to Chick Webb for $20. Webb soon contracted him to write three arrangements a week for the orchestra, often for his up-and-coming young vocalist Ella Fitzgerald, which culminated in the popular 1938 hit song “A-Tisket, A-Tasket,” a number Fitzgerald and Alexander co-wrote. Receiving an offer from RCA Victor recording chief Eli Oberstein, Alexander left Webb that same year to form his own orchestra, an outfit considered by critics as good but not spectacular. The band received financial backing from Oberstein as well as Tommy Dorsey and recorded for RCA Victor’s Bluebird label in 1938 and 1939 and for the Varsity label from 1939-40. Phyllis Kenny and saxophonist Butch Stone were vocalists. It was Oberstein who suggested the name Van Alexander to the then still Al Feldman, and he legally changed it soon after. Alexander gave up running a full-time orchestra in 1941 to focus on writing and arranging again. He joined Larry Clinton’s band as an arranger, taking several of his key personnel with him, including Stone. When Clinton joined the Air Force in 1942, Alexander went to work as an arranger for Kay Kyser. He continued, though, to simultaneously lead his own orchestra until 1944, when it finally dissolved. He also arranged for Tommy Tucker in 1944 when the noted hotel bandleader tried to form a swing band. 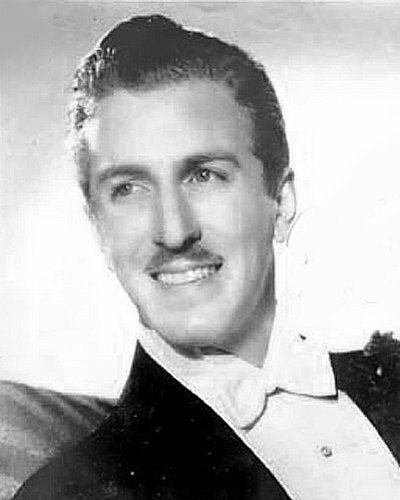 In the 1950s and 1960s, he recorded several albums under his own name, backed by studio orchestras, and conducted for several popular singers, such as Doris Day, Andy Williams, and Dean Martin. Alexander went on to become a highly successful composer and arranger in the film and television industry, including eight years on Martin’s classic television program. Van Alexander passed away in 2015 at the age of 100.